In “Regalia: Of Monarchs and Men,” you play a prince who comes home to his expected fairy tale only to find his city in ruins. You control the prince, his friends and the entire town in an adventure with turn-by-turn gridded combat and beautifully painted characters and backgrounds. The game is made by Pixelated Milk, a game studio from Poland. 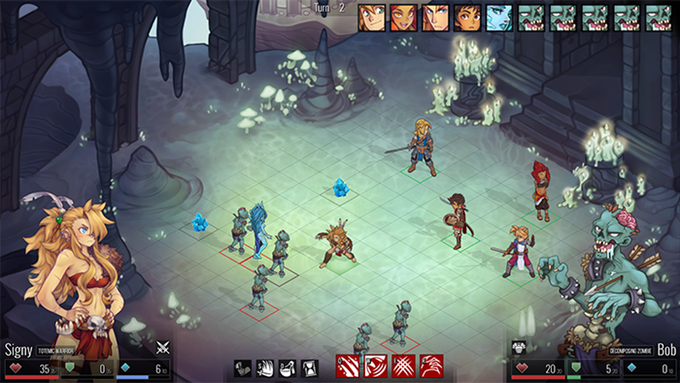 They’re billing it as a JRPG, but it seems to me more like a tabletop battle game brought to life on your computer. Right now, the studio is seeking $40,000 through Kickstarter and, so far, they have raised nearly $17,000. For only $15, you can get a digital copy of the game. Additional tiers offer the opportunity to name monsters, get extra character skins, design a weapon or become a character in the game. There are also physical editions of the game and some pretty heft collector’s editions. You can donate to the campaign right here. One thing I love: No DLC means no mictro-transactions or extra stuff to buy. You get the whole game for $15, and I’m good with that. It looks like a fun game. I can’t wait to see the final product.